Color schemes; design themes; the expense of knickknacks, curtains, and bedclothes—decorating a household can be an intimidating prospect! Why not let your imagination (and your love of color) roam free? Unleash your creativity through sewing, crochet, and embroidery. With more than fifty do-it-yourself projects for living room, bedroom, kitchen, and even your car seats, Fun with Yarn and Fabric is the ultimate craft book for any home in need of an update. Learn to not only craft something new, but also renew, recreate, and reuse your old linens and blankets, thrift store clothing, and flea market finds. 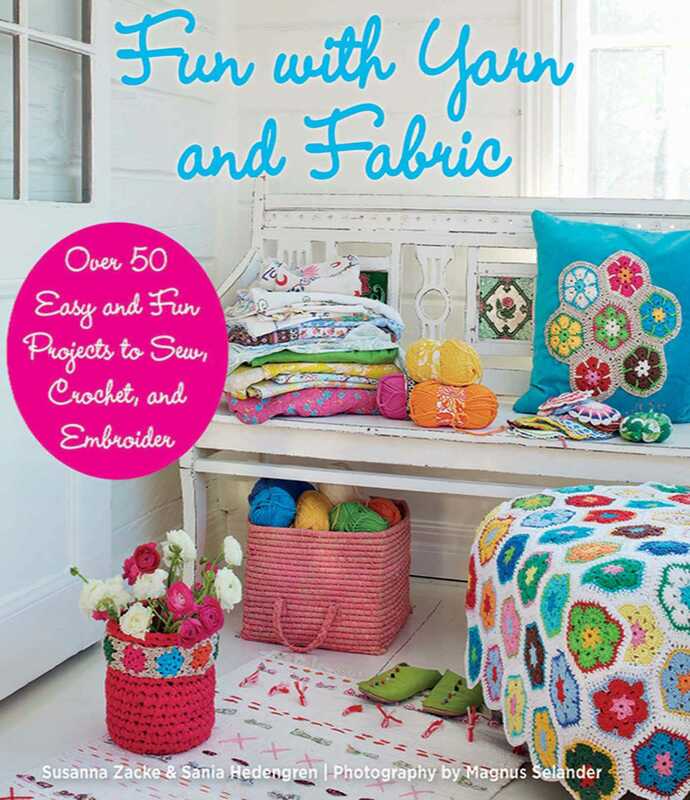 Featuring vibrant photographs and step-by-step instructions for designs of every style, Fun with Yarn and Fabric is perfect for every crafty decorator, regardless of age or experience. So get ready to use a little color—and some yarn and fabric—to turn your house into a cozy home!